14 June 2018: While coal demand and imports in Europe, India and China are slowing down, emerging consumers in South East Asia will salvage coal trade to a certain extent. 20 Feb 2019: Port inventories’ nightmare to haunt Capes? High iron ore inventories at Chinese ports and looming uncertainty in the global economy are threatening the demand for Capesizes. The collapse of the upstream dam in Brumadinho will hurt Vale’s iron ore production from Minas Gerais in Brazil if the Brazilian government does not allow Vale to compensate the loss by increasing production at its other mines. Potentially35-40 Capesize vessels might lose employment in 2019. Our dry bulk shipping practice is highly respected in the industry and is regularly followed and referenced in both industry and mainstream media. The team is responsible for maintaining extensive information resources and conducting weekly, monthly and annual analysis on the sector and assessing the impact of macroeconomic as well as regulatory and environmental change on the sector. In addition to detailed market analysis and rigorous forecasting, we offer market leading analysis of the dry bulk market, covering all the principle vessel categories, as well as appraisals of shipping finances, including pricing, operating costs, vessel values and investment returns. We challenge conventional wisdom through our deep understanding of the trade dynamics driving demand for different vessel types in all corners of the world. Our consultants typically provide charterers in industrial, utilities and mining sectors with seafreight procurement advice, shipowners with market entry strategies and commercial and operational due diligence for investors and lenders. Meanwhile, our team of financial research specialists provides actionable insight on the leading tanker shipowners. Drewry maintains a positive outlook on the dry bulk market and expects charter rates to improve from current levels, according to its latest Dry Bulk Forecaster. Completion of charter attached Very Large Ore Carriers (VLOC) valuations for the client. We offer specialist advisory services to support your operational, planning, strategic and investment needs. As well as operational and technical due diligence services we also conduct bespoke market analysis, financial modelling and feasibility studies to support the commercial and strategic objectives of operators, dry bulk terminal operators, government agencies, lenders and investors with interests in the sector. Drewry’s recently revamped Dry Bulk Forecaster provides five year forecasts, assessments of charter activity freight rates and forecasts of Handymax, Handysize, Panamax, and VLOC supply and demand. All quarterly report updates are accompanied by tables and charts in MS Excel format. 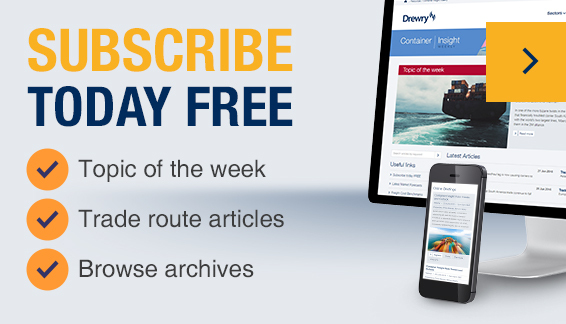 A Dry Bulk Forecaster annual subscription now includes FREE Monthly Supplements.